(Newser) – Thailand's Election Commission on Monday disqualified the sister of the country's king from becoming a candidate for prime minister in next month's general election, saying all royals have to be above politics and the monarchy must remain politically neutral. The commission's decision came after her brother issued an order describing Princess Ubolratana Mahidol's political bid as inappropriate and unconstitutional, the AP reports. The Thai Raksa Chart Party last Friday registered Ubolratana as its candidate, defying precedent against royal involvement in politics. Her choice of party was notable because the party is associated with the political machine of former Prime Minister Thaksin Shinawatra, who was ousted in a 2006 coup after being accused of abuse of power and disrespect for the monarchy. 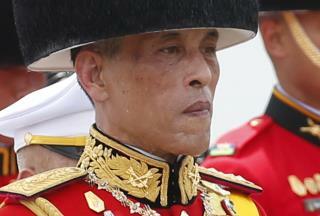 A royal order late Friday night from King Maha Vajiralongkorn said tradition and law barred the princess from politics. Ubolratana's involvement was seen as a challenge to Prime Minister Prayuth Chan-ocha, who led a 2014 military coup and is favored to win the March 24 election, which 55 parties are contesting. The military, a bitter foe of the exiled Thaksin, is closely allied to the palace. Thai Raksa Chart on Saturday hastily issued a statement declaring its loyalty to the king and acceptance of his order, though it was technically too late to withdraw Ubolratana's candidacy. Thai Princess Ubolratana's political life and political future : Sure, a well-educated MIT Alumnus who returned home to Thailand and wants to reform the 2-decade of prime minister's Corruption and runaway to hide in overseas, the West can understand how a Thai Princess Ubolratana's feeling to her passed away King father's Dynasty and being his King's daughter wants to reform Thailand's Feudal Tradition and Feudal Influence, to rebuild Thailand's regime to close to the West, we all understand the Thai Princess Ubolratana's political ambition; but the latest Thai King Maha Vajiralingkorn is really just a "potato" to USA and to the EU, of course right now the Thai Princess Ubolratana who does not want to see how her country Thailand to fall into Military Government's hands and dictatorship but a true Democratic Reform and honest Equity between the Northern Poor's and the Southern Wealthy (Thai-Chinese Capitalism), at this situation, we suggest the Thai Princess Ubolratana will still remain to stay with her political party of Thai Raksa Chart and the Party's leader Preechaphol Pongpanit to stay strong held the "Yellow-Shirt rally" civil citizen power in Bangkok; the Thai "potato" and his Military Regime can't do much politics to gain the Northern "Red-Shirt rally" support, only will get backfire because the previous Thai PM corruption and stealing from Thai people then runaway to abroad. Of course, so far the Thai Princess Ubolratana and Thai Party of Thai Raksa are still our favor and anti-Corruption supports from the Thai-Chinese majority and Houston, Texas, USA (most of the Thai students are majoring in BBA or MBA), so the Thai Princess Ubolratana's political life and reform won't fall into Communist regime, no matter what the US CIA and EU's (MI5, MI6) will look after the pro-West Thailand either UK's Brexit is going to execute soon. So, stay in touch daily with the West. Crazy Rich Asians: The sequel. This calls for a geography related answer: Crimea River.